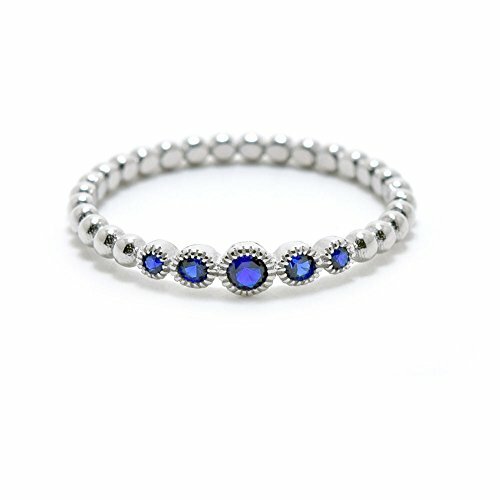 .925 Sterling Silver Beaded Style September Birthstone Cz Stackable Ring by Precious Gem Jewellers at Style Hoster. Hurry! Limited time offer. Offer valid only while supplies last. Seamless design and quality craftsmanship. Comes in a beautiful jewelry box. If you have any questions about this product by Precious Gem Jewellers, contact us by completing and submitting the form below. If you are looking for a specif part number, please include it with your message.